My preschool parents are often concerned with number identification, the ability to recognize a number strictly by it’s numeral. And rightly so. Number identification is difficult, and unfortunately for most children, not very fun or meaningful. This is why I have put together five number identification activities and games. They are fun, a bit silly, and tried and true by my own preschool class. I have this pet peeve about number identification activities. So often, they are simple matching activities. Matching the same numerals, or just matching the numeral and the quantity. The problem with this is that there is a lot of room for error. Those kinds of activities are not effective in teaching number identification because a child cannot do them within direct supervision from the teacher, which means they make poor centers. These activities are not just matching activities. There is no need to guess as in each game the numeral can also be identified by the quantity, which is so important to making learning number names meaningful. Check out the five games below…and be sure to get you copy at the end of this post. These number cards are unique. 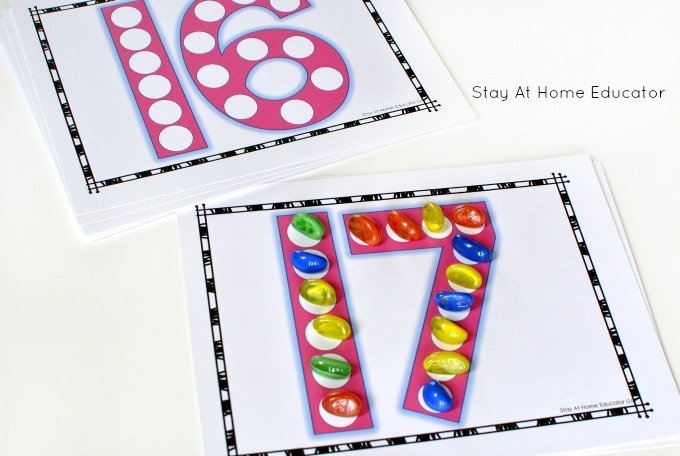 Unlike other dot number cards, these cards have the same number of dots on each number as the number quantity itself. Card four has four dots on it. Card 17 had seventeen dots on it. 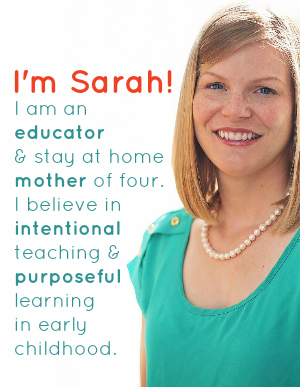 So while your preschooler is seeing and learning the name of the number, that number name is also being reinforced by the actual number of dots on the card, giving your preschooler that added counting support needed if the number is not familiar. For more about these cards, see this post. The fish are colorful and if your preschooler is anything like the preschoolers in my class, they may get names. These are traditional number clip cards. Children count the fish on each card and then choose between three numbers and identify the number that matches the quantity on the card. These cards also have the number in word format as well, giving exposure to number words. What makes these number identification cards great is that they have a number on half of the puzzle pieces and the quantity on the other half. 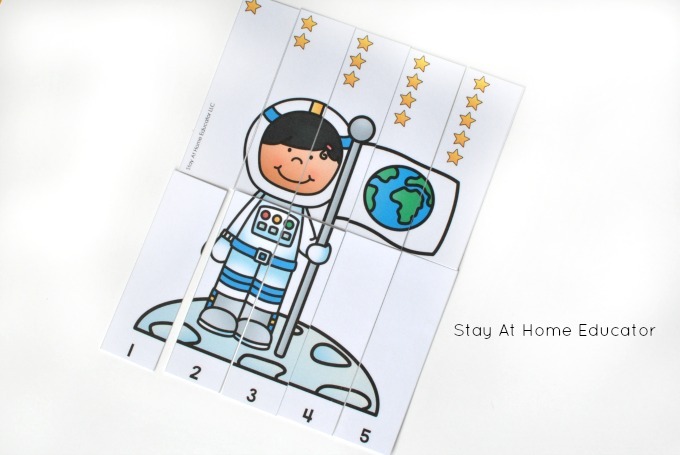 When the puzzle is put together, the preschooler can double check their work as they make sure the picture matches as they place the pieces together. Easily my most popular math post, I’ve finally put together a fully printable version of the game! Preschoolers take turns drawing cards and identifying at the top. They can count the fish on the card if they are unsure of the number. 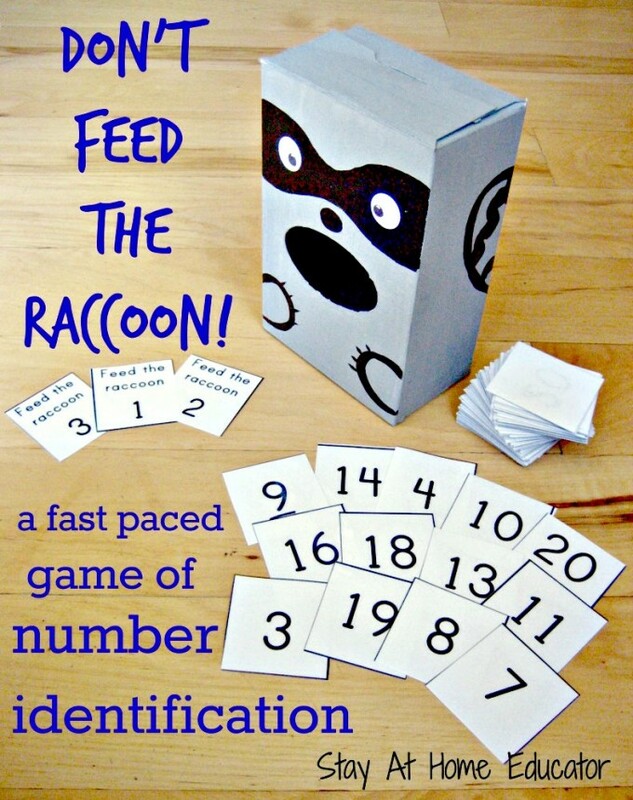 But, the game gets silly when someone draws a fish card and then has to feed the raccoon the designated number of fish. Super fun, a little silly, and highly effective! 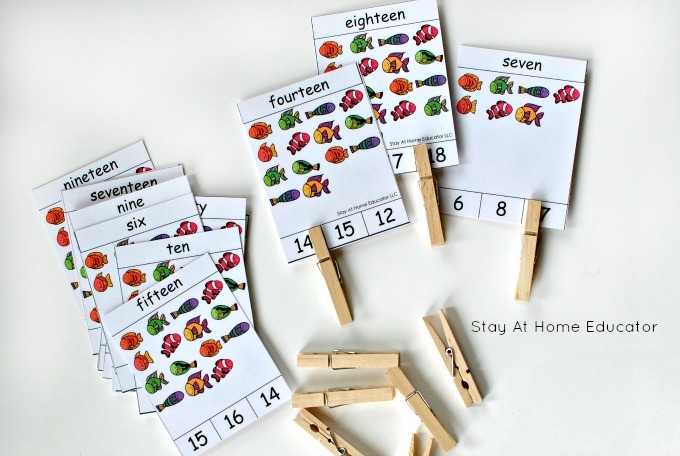 This is a great game for younger preschoolers just learning number names and basic counting skills. 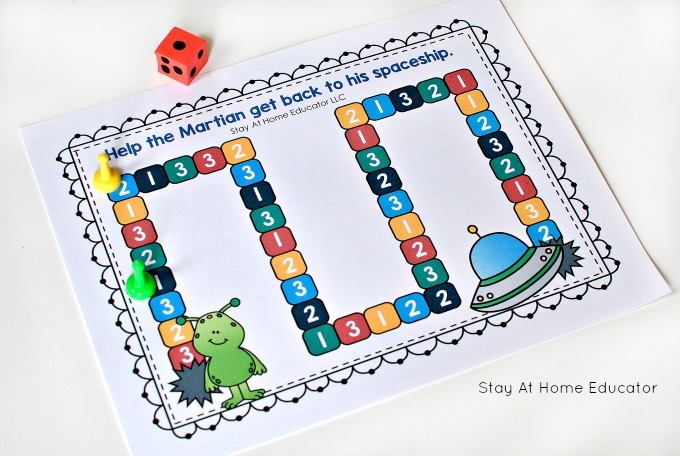 With a few board games to choose from, preschoolers can practice numbers 1-3 or 1-6, giving them lots of one to one correspondence practice as well as number identification skills. Preschoolers roll the dice and count (or subitize) the quantity on the dice, then move their game marker to the next corresponding numeral. 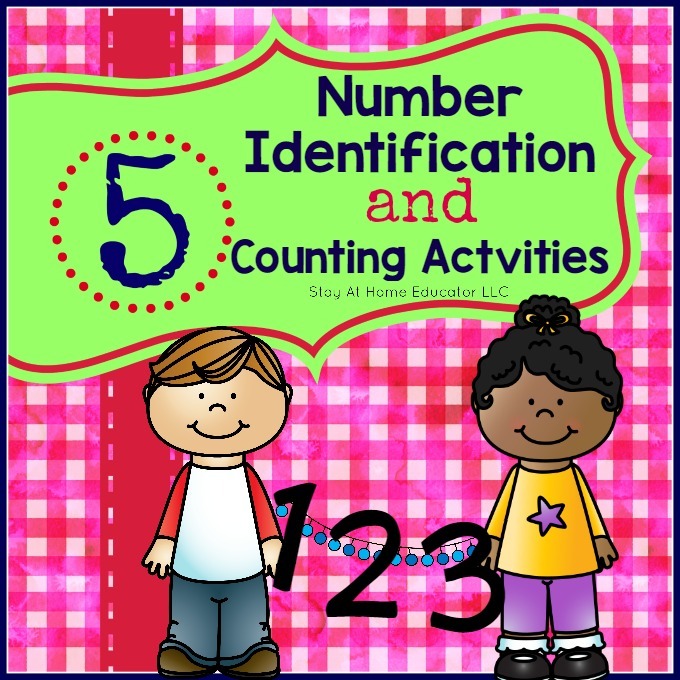 Think your preschooler would benefit from these number identification activities and games? 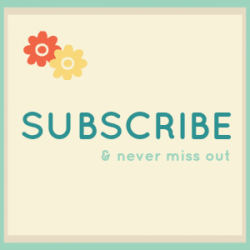 You can download them right here from my blog store. 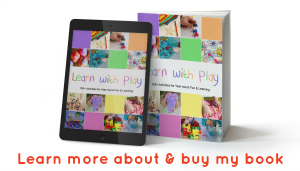 Also, these games pair beautifully with my Preschool Counting Bundle or my Preschool Math Lesson Plans Bundle. 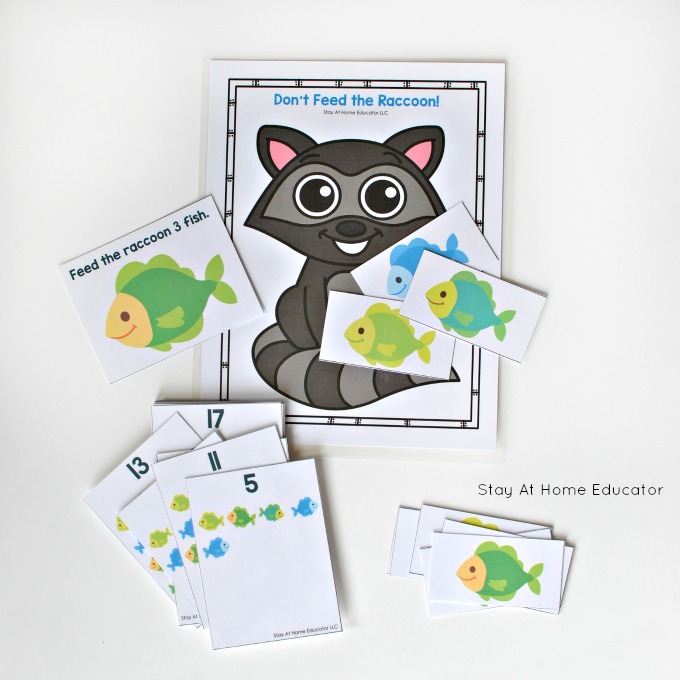 These activities can be downloaded from my blog store or from my Teachers Pay Teachers Store.